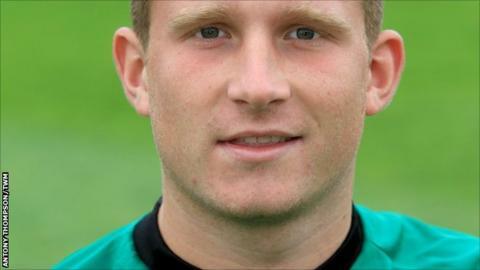 Cheltenham Town goalkeeper Dillon Phillips has extended his loan deal at the club until the end of the season. Phillips, 20, on loan from Charlton, has started every game for Gary Johnson's side, keeping 10 clean sheets in 26 appearances. "I'm buzzing to have got it all signed to the end of the season," he said. "I've really enjoyed my time here and like I have said all along, I wanted to stay all season. I'm delighted to have been given this opportunity."